pyAgrum Matthieu France, Pierre-Henri Wuillemin Interface for aGrUM library in python. Now included in aGrUM as a subproject. 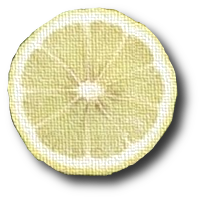 Lemon Christophe Gonzales Lemon stands for Library for Easily aGrUM odeling and Operating on Netwoks. It is a C++ GUI library built on top of aGrUM and designed for easily building graphical applications using graphical models such as Bayesian networks, influence diagrams, decision trees, GAI networks or Markov decision processes. The library is flexible enough to create quite easily interfaces for new types of graphs. For speed issues, Lemon relies on openGL to draw graphs and on gtkmm for the rest of the graphical interface. All graphical models computations are intended to be performed by aGrUM. squeezer Morgan Chopin, Pierre-Henri Wuillemin Squeezer is an open source software aimed at making inferences in Dynamic Bayesian Networks (DBN). It is written in C++ and relies on inference methods in Bayesian Networks (BN) provided by aGrUM . To do so, Squeezer uses a XML file to easily configure an inference and is able to give results in several file format (like CSV, XML, or DOT). Squeezer is used for the INCALIN research project (supported by the French ANR-PNRA fund). ADTagrum Ariele Maesano, Pierre-Henri Wuillemin ADTagrum is an implementation of ADTree for aGrUM parameter learning algorithms (now included in aGrUM ). Nieme Francis Maes Hash Tables are in the core of Nieme data-types. Nieme use those from the aGrUM library [...] (project closed).